Hot Spring Spas is the world's #1 selling brand of portable hot tubs and the hot tub industry leader. Rainbow Pools and Living Art Design has been exclusively selling, installing, and servicing Hot Spring Spas in the Hudson Valley for over 20 years. Besides providing much needed relaxation, spas also have amazing therapeutic benefits for aching muscles and poor circulation. Having a spa in your backyard is a perfect way for the whole family to get together and de-stress. Click the video on the left to see the new and improved Highlife NXT Collection in action! For 2017, the Highlife NXT Collection is now also includes programmable under-cabinet lighting in addition to exterior lighting. There are also two new NXT versions of two of our most popular models: the Aria NXT and Vanguard NXT. Stop into our showroom today to take a look at our floor models and speak with one of our no-pressure sales professionals. With 20 models and several options to make your spa experience even better, we can help you find the spa that’s right for you. A 3rd generation family business, Barlow Tyrie has been manufacturing quality teak furniture since 1920. In more recent years, they have expanded their product line to include stainless steel, powder-coated aluminum, ceramic table-tops, Sunbrella cushions and umbrella fabrics, and more! 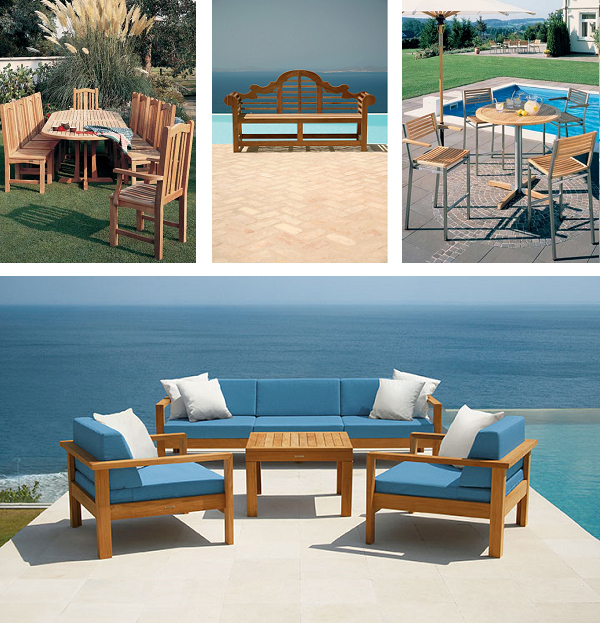 Telescope Casual has been creating quality outdoor furniture for over 100 years. Made in the USA, Telescope offers wicker, aluminum, cast aluminum and resin furniture. 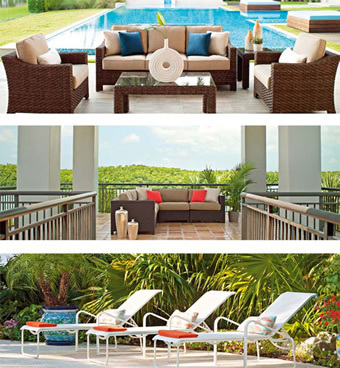 Choose from a wide variety of powdercoats, finishes, and Sunbrella fabrics to make your backyard beautiful. What's a pool party without a grill? From full outdoor kitchens, to travel grills (perfect for tailgating!) to every-day grills in their LEX, Prestige, and Prestige PRO Series, Napoleon has something for everyone. We have a selection of models in stock and on display in our retail store so come in and see everything that Napoleon has to offer! Don’t let the cold keep you from enjoying your backyard! With outdoor heaters, fireplaces, patioflames and patioflame tables from Napoleon, you can get the most out of your backyard even after the summer is over.